South Carolina’s primary will fall on Saturday, Feb. 29, just three days before Super Tuesday, when nine states are expected to vote — most of them also in the south, with Democratic primaries largely determined by black voters. That’s why Harris’ campaign sees South Carolina as the key early state — even more important than the traditional starting blocks of Iowa and New Hampshire. It’s so important to the California senator’s strategy that Harris will make her second trip to South Carolina as a declared candidate before she even steps foot in New Hampshire. Booker repeatedly circled back to the call for unity that he’s launched his campaign around. 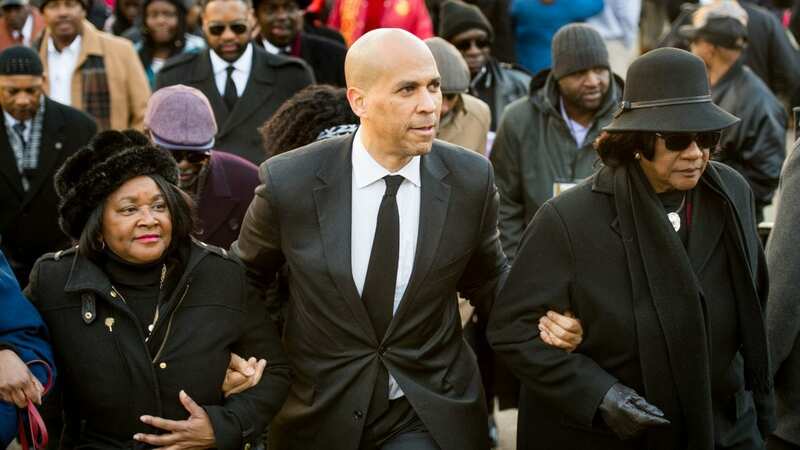 The crowds were all predominantly African-American, and often hung on every word as Booker delivered a stump speech tying his family’s struggle to buy a house from racist realtors to iconic Civil Rights milestones like the 1965 Selma-to-Montgomery voting rights march. Booker and Harris don’t show the same hesitance that Barack Obama displayed during his 2008 presidential run when it comes to speaking frequently and bluntly about racial issues and racial injustice. They, like many other Democratic presidential candidates, talk about racial sentencing disparities, police discrimination and other topics. With black voters holding so much influence in the South Carolina primary, Booker and Harris may be viewed as the favorites there. But voter after voter told NPR that race wouldn’t be their sole deciding factor. “I think it’s great that we have Cory and Kamala. However, I also think that it’s really great for the Democratic Party that we have a tremendous group of people that are very intelligent, highly skilled,” said Beverly Diane Frierson, who holds a leadership post in the Richland County Democratic Party.